Creating a client’s home for the third time came with its challenges. 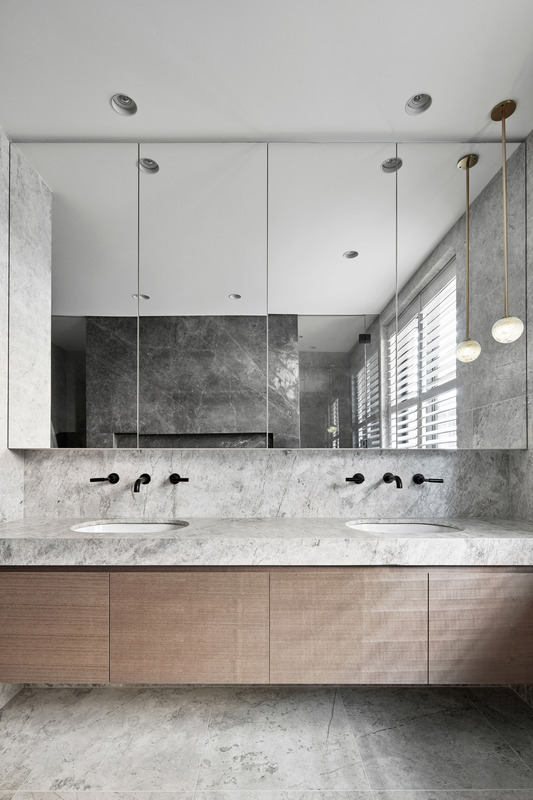 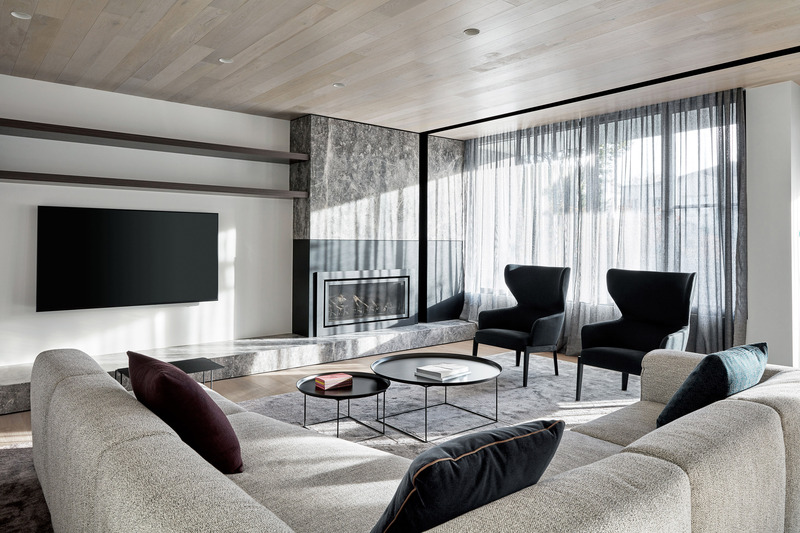 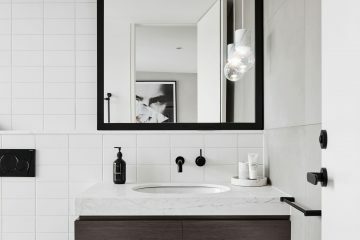 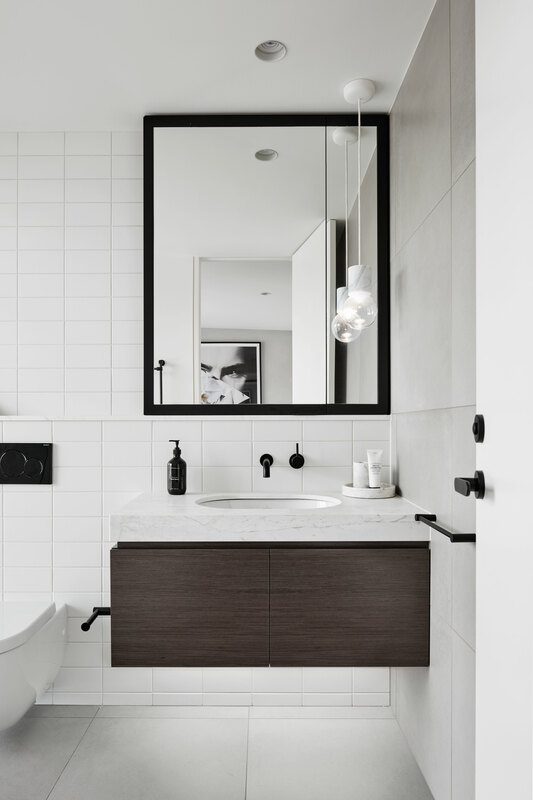 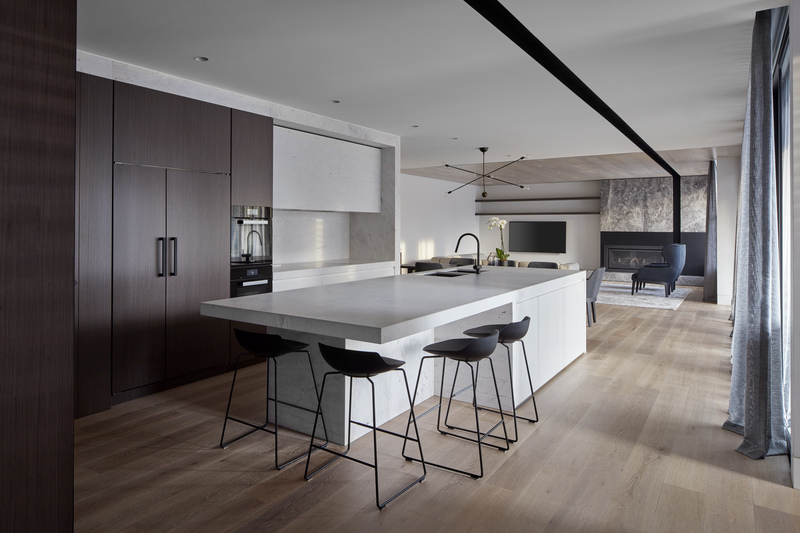 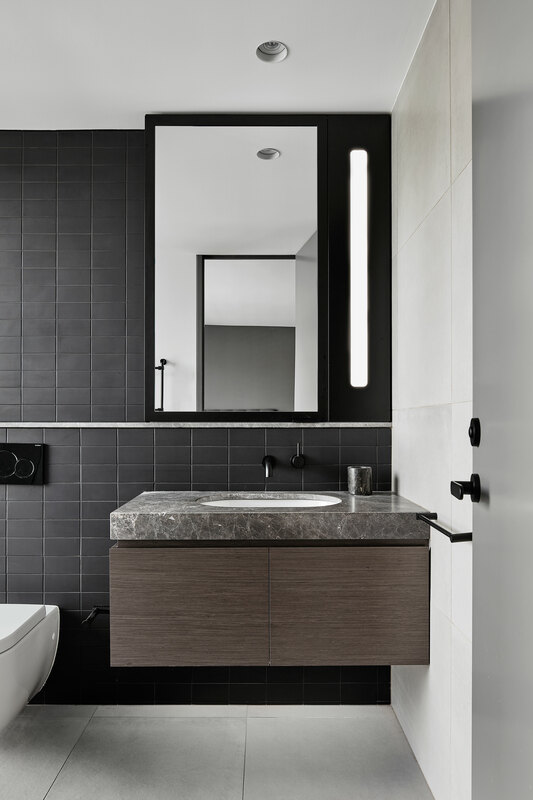 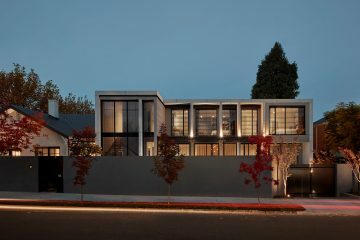 Their previous home in Templestowe offered expansive outdoor living for the young family to mature, and their next chapter would situate them in Kew offering proximity to the city and an emerging cross-pollination of Victorian heritage and contemporary design. 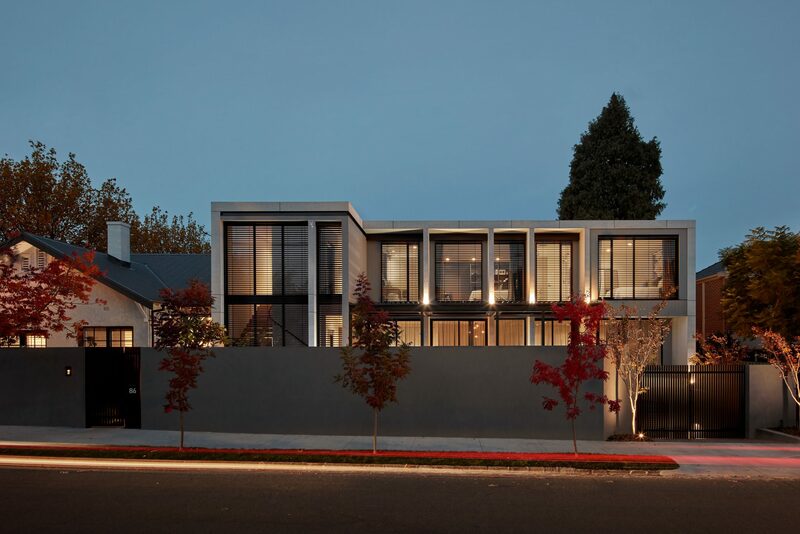 The client’s brief for the project was to provide the amenity of their existing home uncompromised by the limited block size. 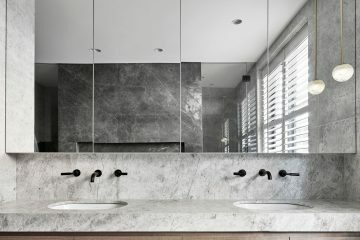 Having complete confidence in our creative ability, they allowed us to explore an external form that would complement the existing characteristics of the site whilst offering a modern architectural solution. 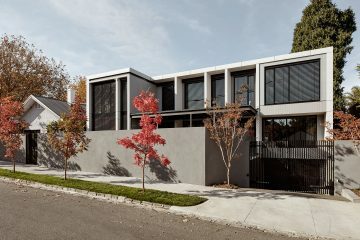 Working within the confinements of the limited block size and with existing conditions to preserve, a challenge presented itself which only carefully and considered design could solve. 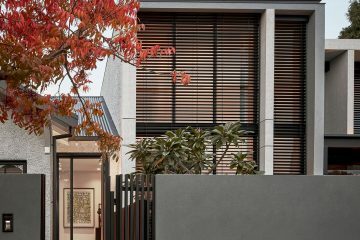 The existing homes iconic textured render influenced the use of materially to provide a seamless transition from old to new. Glazing is framed by raw materials and protected by external blinds to provide privacy from the street below and offer shading from the blocks west orientation. The homes external composition was intricately detailed to offer simplicity in form and interest through texture and craftsmanship. 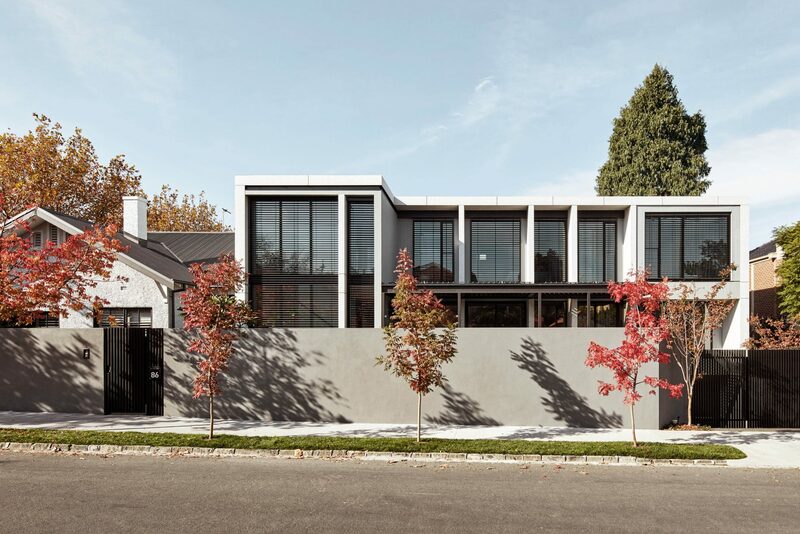 The façade is wrapped in a new James Hardie cladding that offers a raw textuality to the homes timeless form. 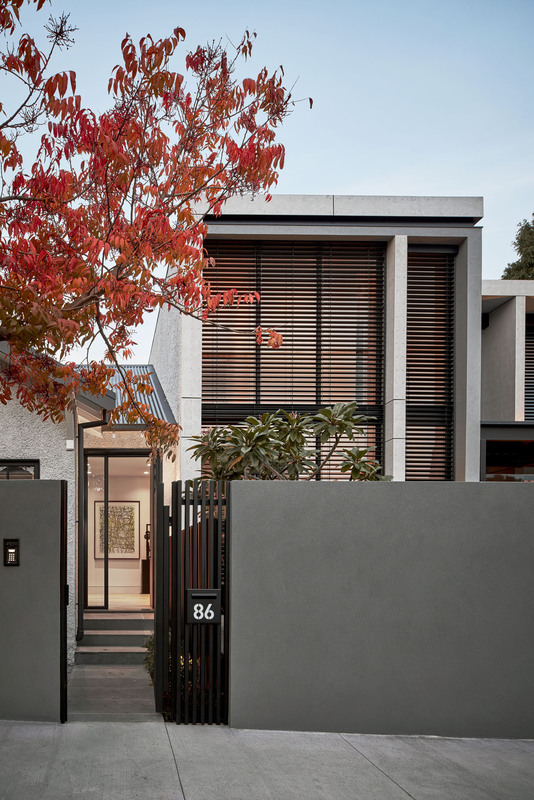 Collaborating with our heritage architects, we emphasised a delineation between period and current architecture by using the entry space as a junction of old and new. 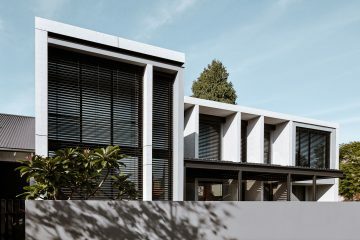 A shear wall separates the two styles yet reflects the unique characteristics of the heritage home by incorporating the iconic textured render that defines the existing architecture. 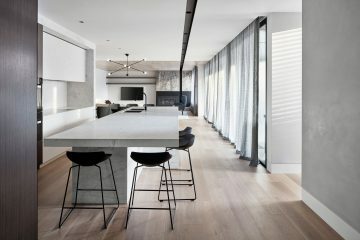 The house offers a 4-car basement including a wine cellar, large outdoor living area with a pool and spa overlooked by a beautiful open-style space with 150 sqm of kitchen, living, dinning and master suite with ensuite, walk in robe and parents retreat within the existing home. 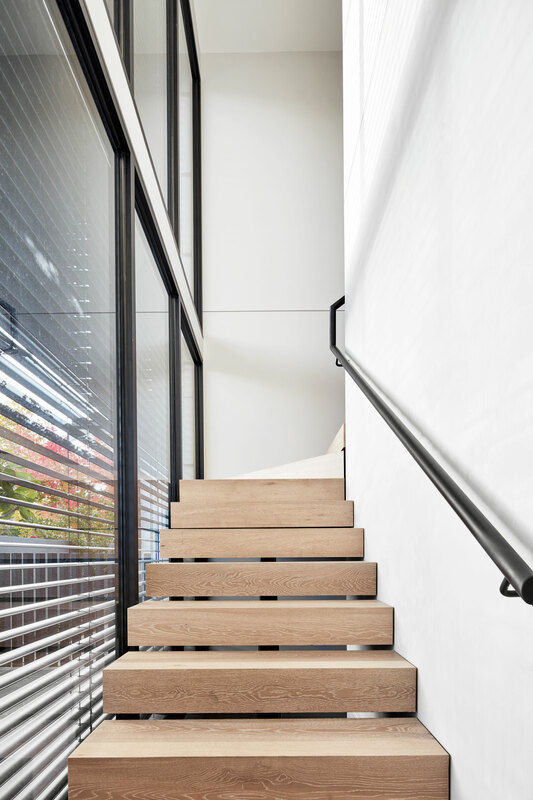 The first floor – accessible by a lift – consists of 3 bedrooms, each with connecting ensuites and another living space. 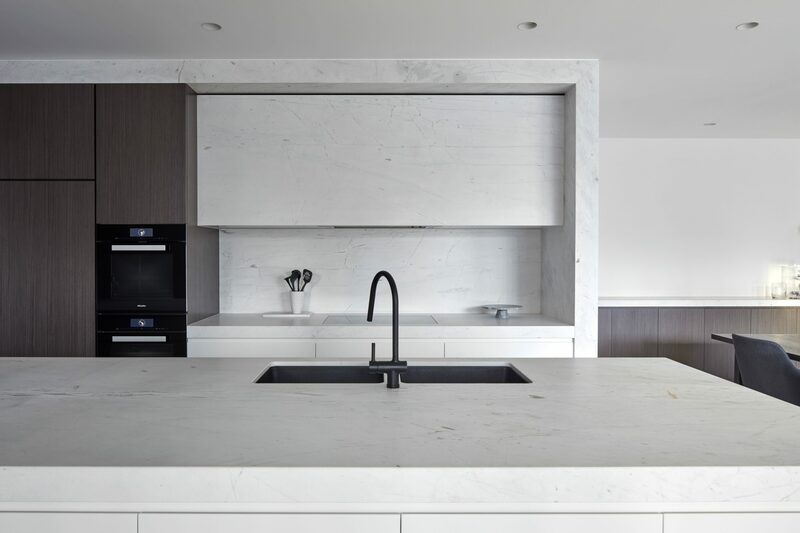 All of this was achieved without compromising the overall layout and design intent. Our collaboration with Mim Design enabled the interior space to praise the unique architectural style, flowing harmoniously from the outside in. 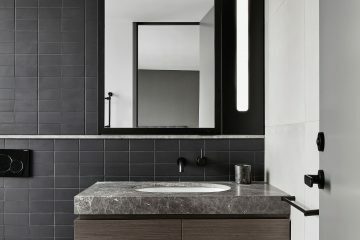 Inspiration was drawn directly from the raw materials and sophisticated shapes and forms of the building to create an internal space that reflected it emotively. 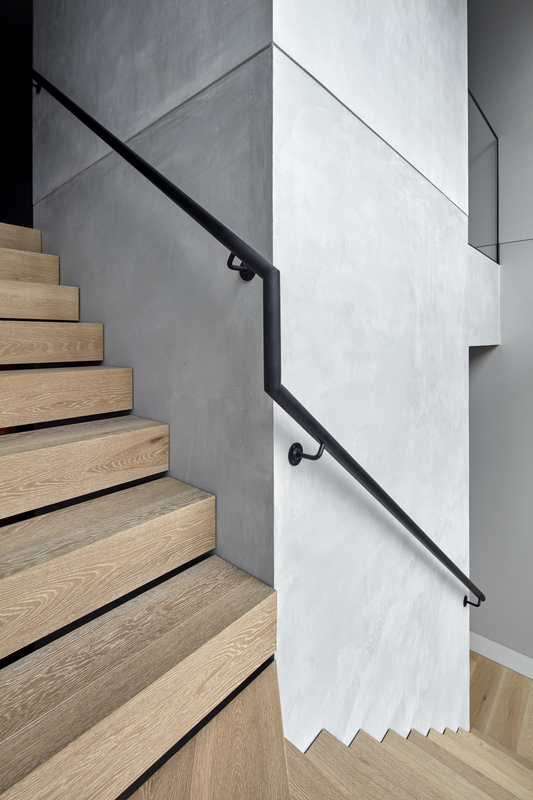 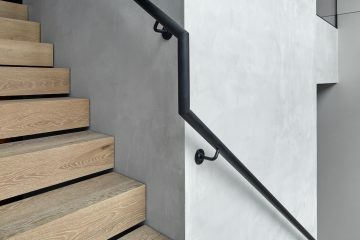 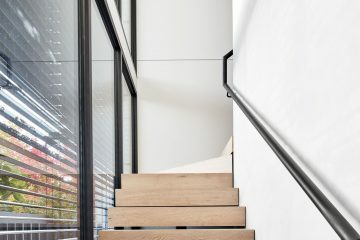 Consideration was given to every fine detail including a custom steel staircase with floating timber treads and a system of external blinds with recessed pelmets, providing privacy, shade and flexibility to each room of the home.